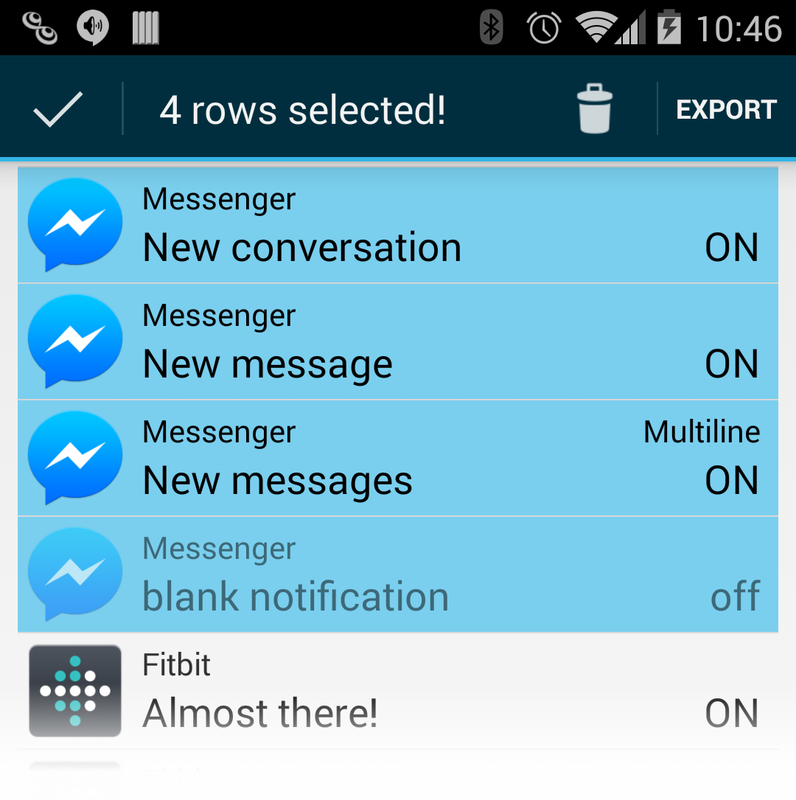 With release 1.0.4 of Notifications Reader comes experimental support for adding additional predefined rule sets for some common android applications. This feature is still under development and subject to change. 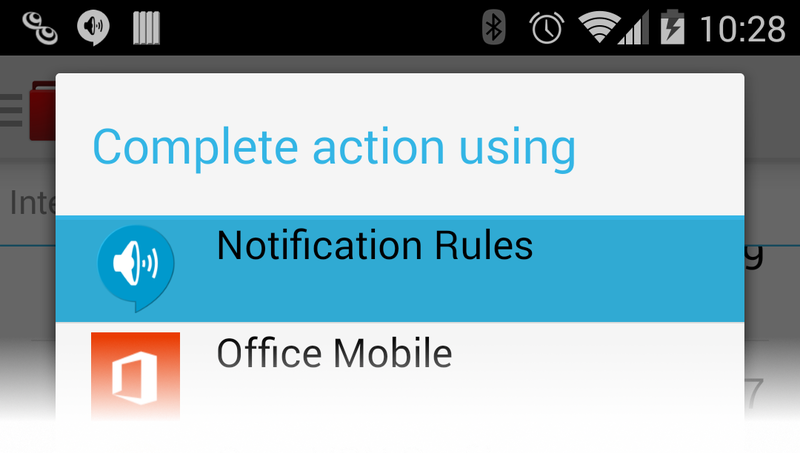 You can also load the latest set of Android System and Google Apps Notification Rules. Loading this rule set will overwrite any rules changes you have made to the initial set of default rules loaded when you first installed the app. Reloading a rule set will overwrite any changes you have made to the rules previously loaded from the same rules file. Creating a rule set is an excellent way to backup your notification rule changes, transfer rules to another device, or to create a rule set to share with others. The structure of the rule set is a simple json format with multiple rule definitions in a single json array. Two key attributes in the rule definition are the source and sourceId which are used to uniquely identify each rule. The source can be any value to identify the creator of the rule (along with any sub-packaging), and the sourceId must be unique within the with scope of the source. When a notification rule file is re-loaded rules matching the source/sourceId will be updated with the new rule definitions.